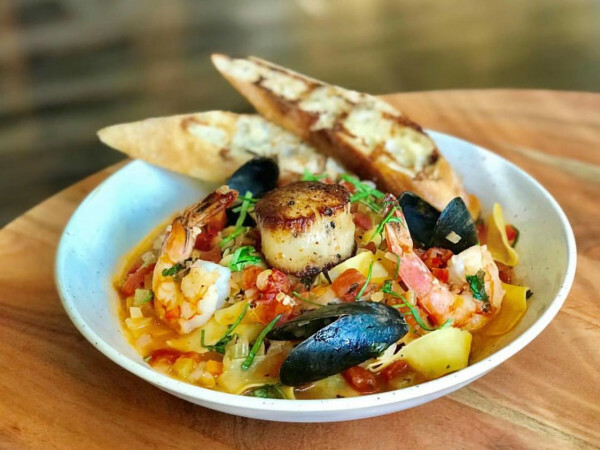 UPDATE 7-16-2018: The restaurant opens on July 16. 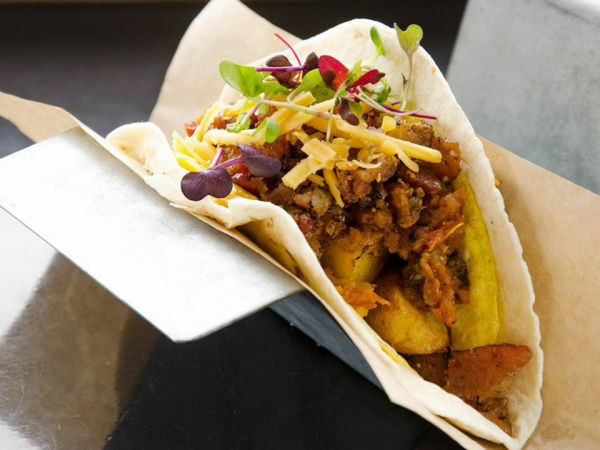 Dallas-based upscale taqueria chain Velvet Taco is officially in expansion mode and one new neighborhood is the lucky beneficiary, with a location coming to the intersection of Preston Road and Forest Lane. Construction will begin in March; the opening is penciled in for July. The official address is 11700 Preston Rd., #600, on the southeast corner, in what was previously longtime tenant Fossee's Shoes, which closed in July 2017 after 31 years. Bye Fossee! 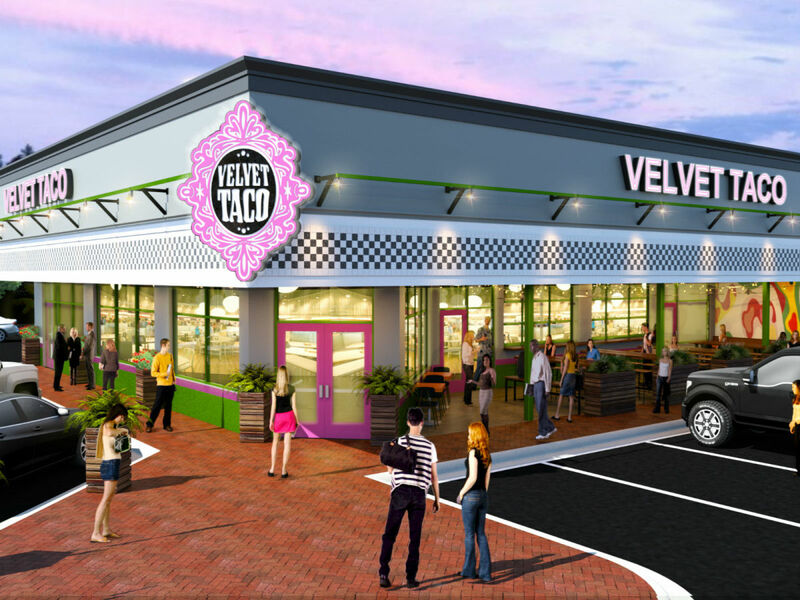 Velvet Taco president Clay Dover says that the branding elements at this new branch will be similar to the original store at Knox Henderson, but with some aspects that are entirely new. That includes a setup that facilitates orders of the "backdoor chicken" menu of rotisserie chicken with elote-style corn and tortillas. "The store itself is 3400 square feet, but we are creating a spacious patio," he says. "In addition, we will have a pick-up window that can be accessed from dedicated parking for both the backdoor chicken and also to-go orders, which can be ordered ahead using our mobile app." Velvet Taco first opened on Henderson Avenue in 2011. The chain's tacos explore multi-regional and multi-cultural boundaries, such as Indian-style tikka chicken, Mediterranean vegetarian falafel, Japanese ahi poke, and Cuban pork. There's brisket and flank steak and they do a fabulous "Nashville-style" hot tofu. The chain does a weekly chef-driven taco feature, which has become kind of a Thing for customers, since it's not posted or announced ahead of time. This week's entry is the "return" of No. 16, which has a flour tortilla, cilantro rice, veggie mix with spinach, mushroom, and tomatoes, coconut curry shrimp, habanero pineapple relish, and Thai basil. 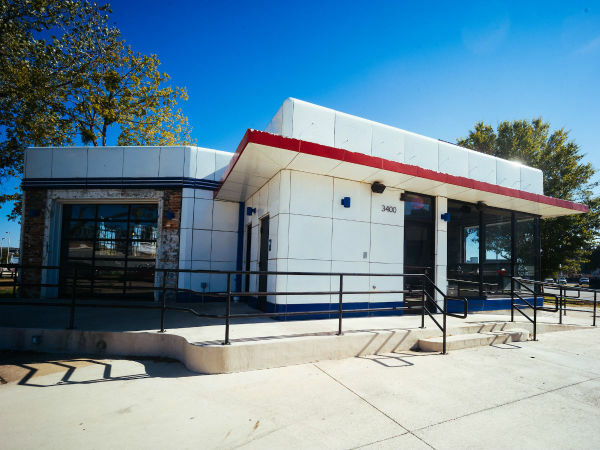 This will be the eighth location; other branches are in Fort Worth, Houston, Chicago, Austin, and Greenville Avenue in Dallas, which opened in 2017.